While the floodgates of Amazon Prime Day are set to open at 3am EST/12am PST, most of the earliest deals are heavy on the toy, crib and stroller category so those looking for any of the teased TV or tech deals can sleep a little longer. Find out when to wake up for the best deals in tech, men’s fashion, women’s fashion and home. On your last roll of toilet paper? Just use your last cup of laundry detergent? Amazon’s Dash Button wants to kill your emergency run to the grocery store to restock with click and confirm ordering. 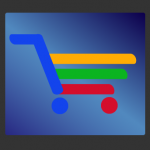 TechCrunch reports that Google is hard at work on an Amazon Prime competitor called “Google Shopping Express,” and they’re prepared to lose a little to gain ground. 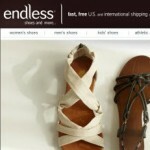 Endless.com, the online shoe store launched by Amazon before they acquired Zappos, is rolling out free international shipping on orders over $100. In an interview with the New York Post, American Apparel CEO Dov Charney likens his current situation (his current situation being that the company is on number 7 or 8 of its 9 lives) to that of Apple or Amazon. Given that Charney has made it abundantly clear that he won’t be leaving his leadership role at American Apparel, we can infer that he sees himself as the Jeff Bezos or Steve Jobs of the clothing industry. 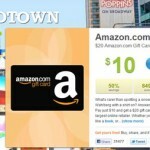 Groupon may be the clear leader in the group buying space, but Living Social is determined to be a solid number two. Amazon invested $175 million in the company in December, and it’s taken all of a month for the two to pair up on what could be a record breaking group buying offer. 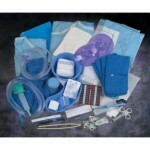 First there were the iPhone STD tests, now there’s the all-in-one gastric bypass kit for those of you who think doctors are overpriced or just plain overrated. 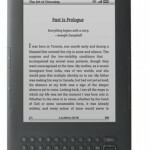 Amazon has proved that readers want to use eReaders. The first two models of the Kindle sold fairly well, even at their relatively high prices. The newest Kindle is at a lower price with a better screen and battery than the previous versions, which has only helped the device’s popularity.